Twenty five years later, he was asked to return to the wilderness to babysit more fish eggs. But no longer a footloose twenty year old, at forty-five, he was the father of two young sons. He left again, alone, straight into the heart of Montana’s Bob Marshall wilderness, walking a daily ten mile loop to his fish eggs through deer and elk and the highest density of grizzly bears in the lower 48 states. "The Names of the Stars" is not only a story of wilderness and bears but also a trek through a life lived at its edges, showing how an impulsive kid transformed into a father without losing his love for the wilds. 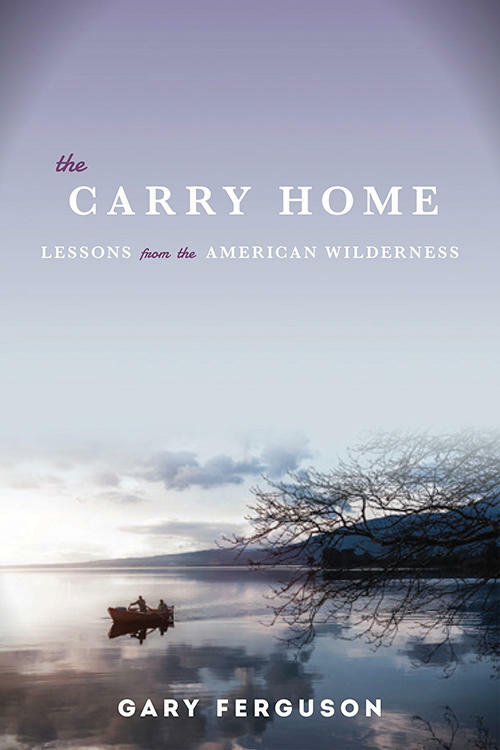 From loon calls echoing across Northwood lakes to the grim realities of life guarding in the Nevada desert, through the isolation of Indian Creek and years spent running the Snake and Rio Grande as a river ranger, Pete seeks out the source of this passion for wildness, as well as explores fatherhood and mortality and all the costs and risks and rewards of life lived on its own terms. 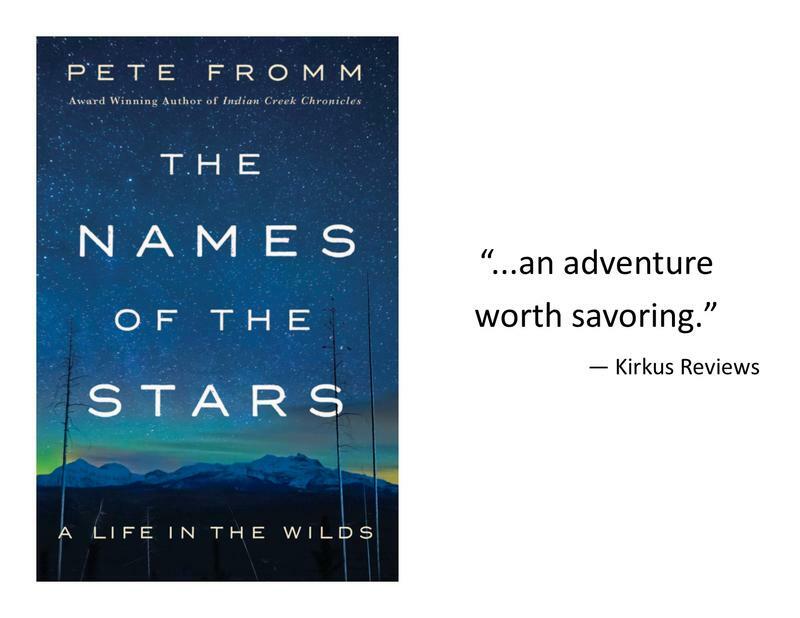 Pete Fromm is a five-time winner of the Pacific Northwest Booksellers Literary Award for his novels "If Not For This," "As Cool As I Am" and "How All This Started," a story collection, "Night Swimming," and the memoir, "Indian Creek Chronicles." "As Cool As I Am" is also a feature film starring Claire Danes, James Marsden, and Sarah Bolger, and Dry Rain is a short film starring James LeGros and Nathan Gamble. Pete is the author of four other short story collections and has published over two hundred stories in magazines. He is on the faculty of Pacific University’s low-residency MFA writing program, and speaks regularly at writer’s conferences around the country and in Europe. He lives in Montana with his wife. 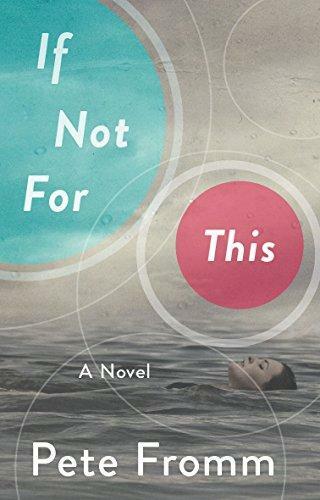 Pete Fromm talks about and reads from his latest novel, If Not For This. A film based on Missoula author Pete Fromm's novel "As Cool As I am" debuted recently in Missoula. It's a coming-of-age tale about a teenage girl, played by up-and-coming Irish actress Sarah Bolger. The star of the hit TV series "Homeland", Claire Danes, plays the girl's mother. In this feature interview, Fromm talks with News Director Sally Mauk about the novel - and the film of the same title. Fromm says the novel grew out of a short story he wrote called "The Gravy on the Cake".